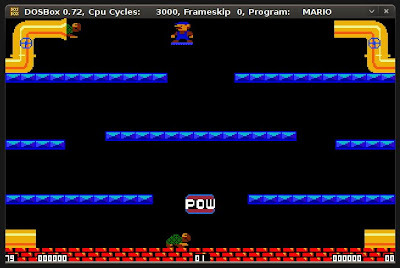 I know some of you can't get enough of those classic games, so after showing you how to play Super Nintedo (SNES) games on Ubuntu Linux using an emulator, I will be giving instructions on how you will be able to run DOS games on it. To do this, you will also need an emulator and download DOS games from the internet. The package that you will have to install is DOSBox. 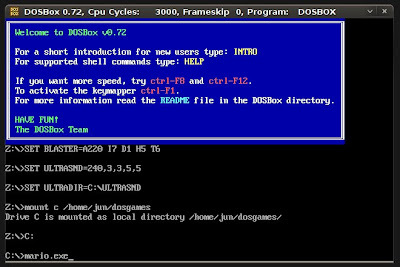 "DOSBox emulates an Intel x86 PC, complete with sound, graphics, mouse, joystick, modem, etc., necessary for running many old MS-DOS games that simply cannot be run on modern PCs and operating systems, such as Microsoft Windows XP, Windows Vista, Linux and FreeBSD." Free DOS games are very easy to find. Just search for them on Google. To give you an example, I've downloaded Mario Brothers VGA from HERE. I then extracted/unzipped the file and placed "mario.exe" inside my /dosgames directory. During the game, just follow the instructions to know what keys to press. Now go and get those popular DOS games like Wolfeinstein 3D, Alley Cat, Duke Nukem, Hocus Pocus, Crystal Caves, and so much more. Have fun! Oh no! Now I have to switch to Ubuntu so I can run DOSBox! 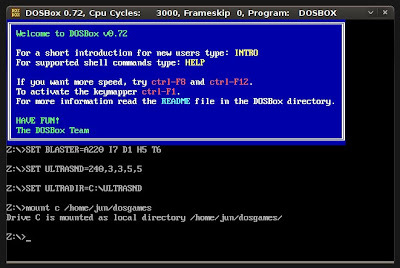 DOSBox works so well that Steam (streampowered.com) uses it to run old gammes. Some of the games in the ID Software pack are old dos games. Why not Sun Virtual Box? Why not? 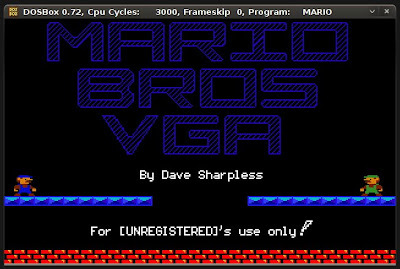 Win3.11 is just "a GUI for DOS"
Why not run Super marios bros on the Super Nintendo emulator and get the old NES original and newer versions. Plus, many other games for the SNES. It doesn't even require much graphics. Your system may be able to run the N64 emulator and numerous available games too. Theses are MUCH like Wii games. 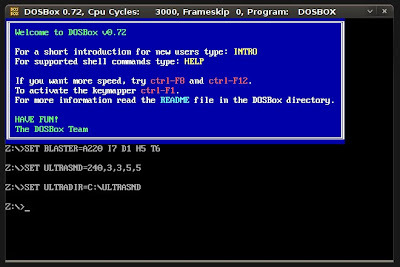 DOS box is cool though; for DOS specific titles. 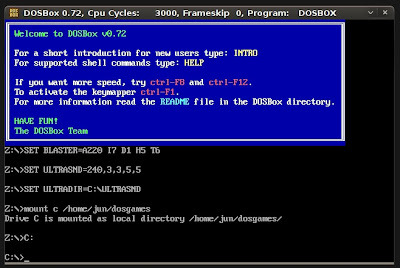 Virtual box emulates only that computer (and you have to emulate DOS too)"
That is, DosBOX actually includes DOS. I understand this may be convenient. I have DOS, and Windows 3, and Windows 95, used all of them, tried all in VirtualBox and decided Windws 95 OSR2 is the best for old DOS and Windows games.